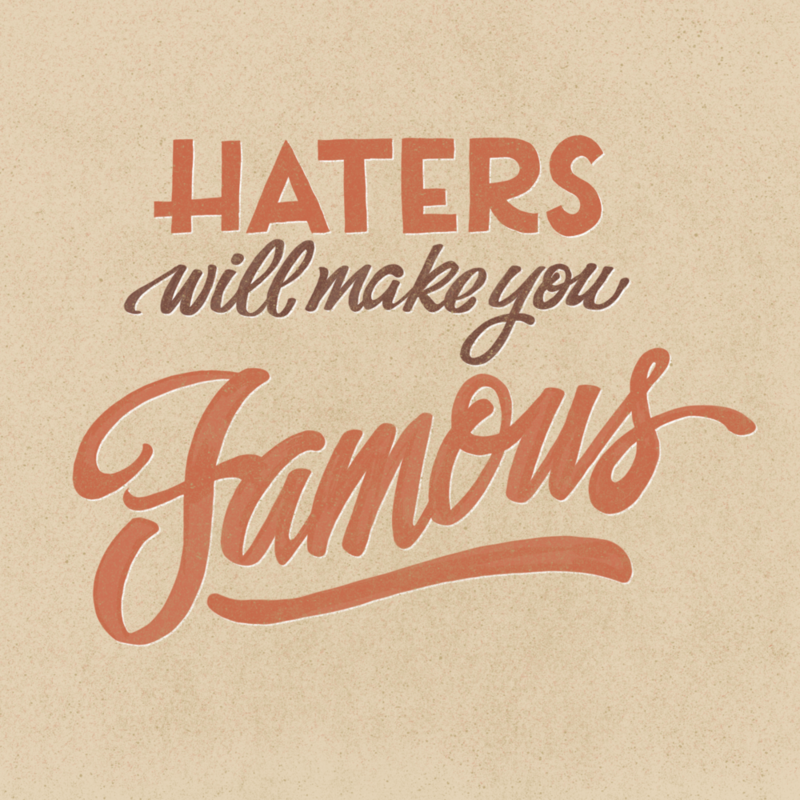 Your haters will make you famous. One way or another. iPad lettering in old showcard style of lettering. Textures added later in Photoshop using True Grit Texture Supply brushes. Great stuff, especially if you're looking for that vintage 'printed' feel. Go check 'em out!.